It’s a new year so perhaps it is time to refresh your game library? DriveThruRPG always helps with this by launching a big, 15% off, sale at the start of the month. There are over 200 RPGs in “New Year, New Game” sale and so plenty to pick from. With a huge 15% off which single download would save you the most money? In other words; what’s the biggest game in the sale? The prize goes to AdventureAWeek.com’s Rise of the Drow. This sourcebook now weighsin at 494 pages after it’s 2014 expanded and revision and it’s suitable for Pathfinder or D&D/d20. “What happens when an adventure takes a character from the beginning of her career all the way to the supposed end, but then goes even further?” It becomes a “mega module”, and here at AdventureAWeek.com that’s exactly what we aimed to do with “Rise of the Drow”. Ok, here’s where I admit that the main book, all around-about 500 pages of it, takes a PC from Level 6 to Level 18, and that you need to run through the Prologue adventures in “The Darkness Arrives” trilogy, and then the Epilogue that is “The Commander of Malice” in order to completely fulfil that destiny, but the ascent from naive adventurer-for-hire to saviour of the entire Overworld is there to be achieved in the main story. And what a story it is! From a relatively quiet beginning helping defend a Dwarven town, “Rise of the Drow” quickly expands into a chance to explore a vast section of the Underworld, as location after location is found to be ripe for exploration, and foes and friends alike come from far, wide, and deep below the surface. Hints at just what needs to be accomplished can be found at every turn, as the adventure lives and breathes, meaning that events happen around the party as well as to them. Whether a party decides to stick to the main events, explore every nook and cranny, or go off and examine every path and cavern for unknown treasures, the tale of entering the home of the drow and dealing with its Matron Mother expands in every direction the players turn their PCs as they roam the Underworld paths, hole up and recuperate in the dwarven center of Embla, and finally deal with that drow city of Holoth. Allies aren’t necessarily friends, and foes aren’t always enemies, as the secretive trip to Holoth and the subsequent quest within it can be both helped and hindered by wily dragons, fantastic Underworld races, jaw-dropping population centers, and an underground mushroom forest to “play”in. 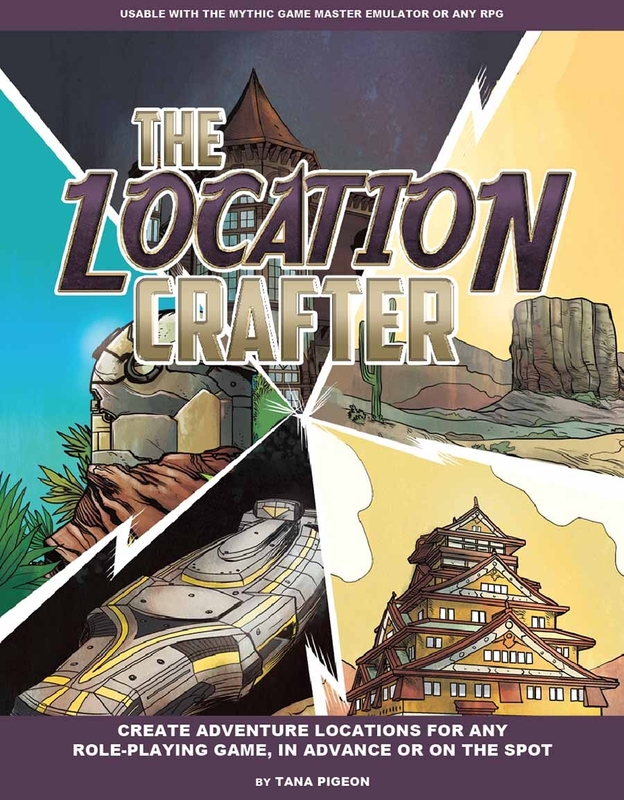 But the book isn’t just a grand adventure or “mega module”; It also provides enough hints, tips, suggestions and advice on how to run a successful, mysterious and authentic underground adventure anywhere. There are enough ideas here to pick and pluck those you truly love and present those as you wish. But the main strength of all the books is that it is straightforward enough to take just what you want from it and custom build your own adventure. “Rise of the Drow” is truly a flexible and versatile sandbox that will keep players entertained for hours. Let the players explore. 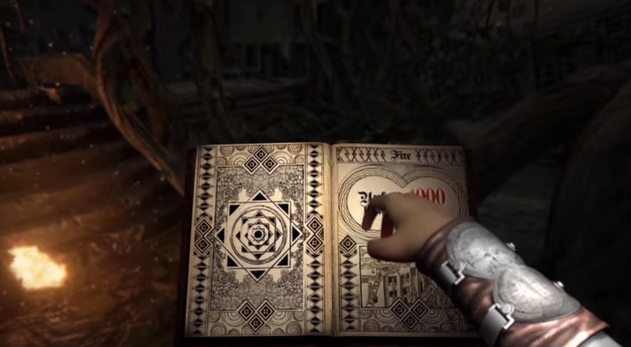 The game will support and help them find all manner of treasure that will assist in the final battle. Encourage players to think about if an area can be immediately cleared or whether “living and fighting another day” is the best option. They can always come back. Develop the sense of wonder and inability to tell what is real and what isn’t. Make sure there are plenty of decisions to be made; each one can easily influence events further on. The Underworld is deadly, with myriad ways to die. Support the PCs if they have really tried to be valiant, but now want to stop to get their breaths back. Tempted? 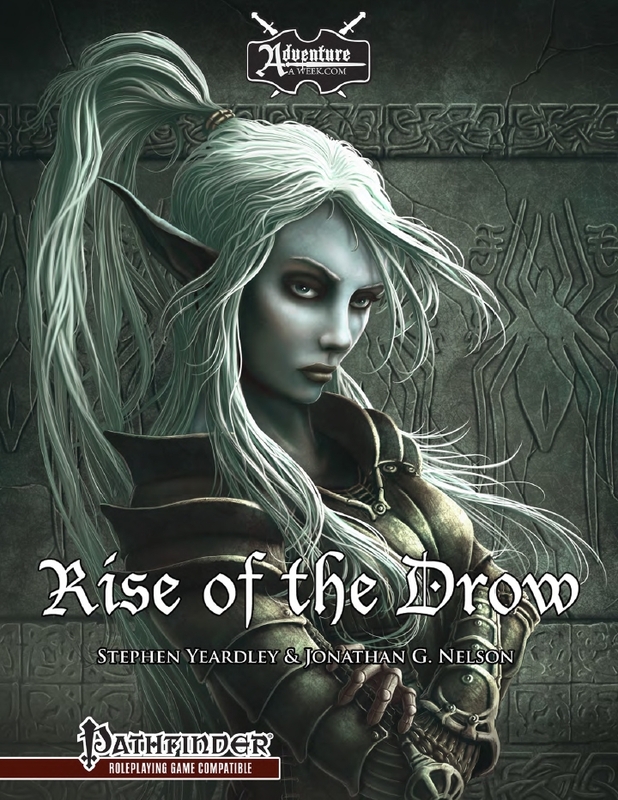 During the sale Rise of the Drow is reduced to $35.69. Draw your D&D character: Visual character sheet called "Reroll"